It is TGIF Time and I have busted out my Frosted Floral Suite and it's beautiful! This week our challenge is a sketch that is filled with layers which allows for endless options. Check out all of the Design Team's work at TGIF and be inspired. Next, use the sketch yourself to create something stumpy and post it on our site. 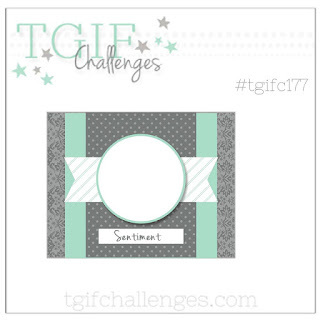 Go to #TGIF177. 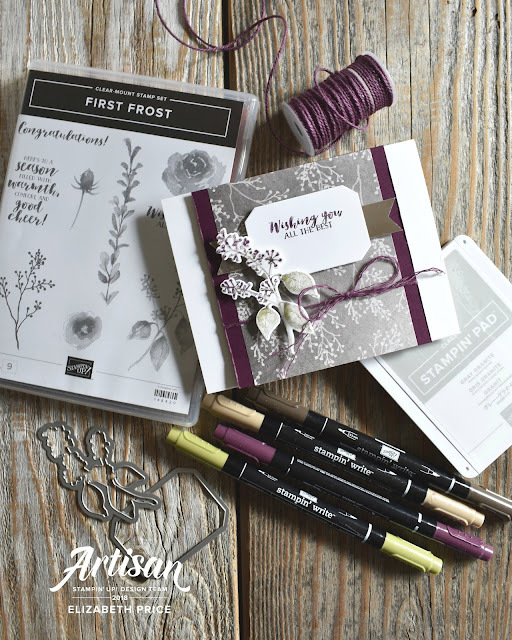 A super BEAUTIFUL and incredibly VERSATILE stamp set in the Holiday Catalog is First Frost. 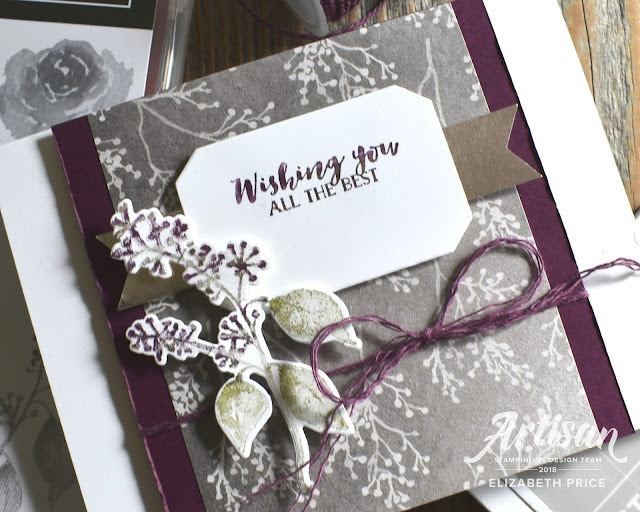 The floral and greenery images from the set include a mix of berries, thistle, and roses. And the greetings work for holidays, birthdays, weddings, graduations, and other life celebrations. 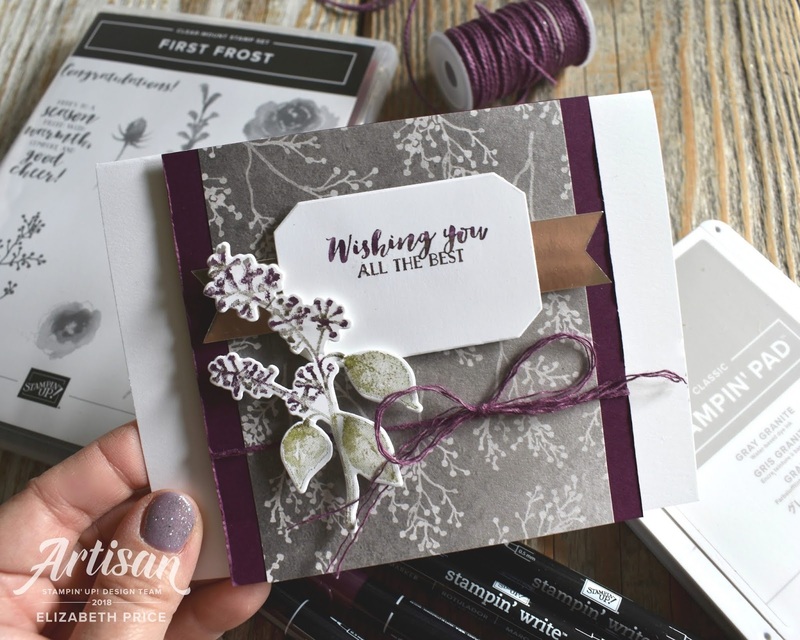 My card is based on Thick Whisper White and then is layered up with Blackberry Bliss and a piece of Frosted Floral Specialty DSP. I have to add that the Frosted Floral DSP is stunning! All of the gorgeous floral and greenery designs are printed on shimmery white paper that give a luxurious feel and look to any project. To complete the sketch challenge I tucked a banner of Champagne Foil Paper behind the greeting cut with the Frosted Bouquet Framelits Dies.